Yikes. If you’re an MBA looking to get into the world of startups (especially if you’re looking west), you’d best understand the history. MBAs of the late ‘90s flocked to Silicon Valley, with how to harvard reference a documentary in an essay. When the dotcom bubble burst, many founders were left holding the bag while the MBAs left for more established companies. The hangover from the 90’s was enough to sully the name of the MBA, especially in the Valley, for years. PayPal cofounder Peter Thiel even remarked, “Never hire an MBA; they will ruin your company.” Ouch. But the times, they are a-changin’. MBA curricula increasingly emphasize hard skills like data science, quantitative decision-making, and coding. And the startups are growing up too – with almost essay on criticism (private companies valued at +$1B) in the US, MBAs are getting hired by the hundreds for roles in product management, business development, and operations. 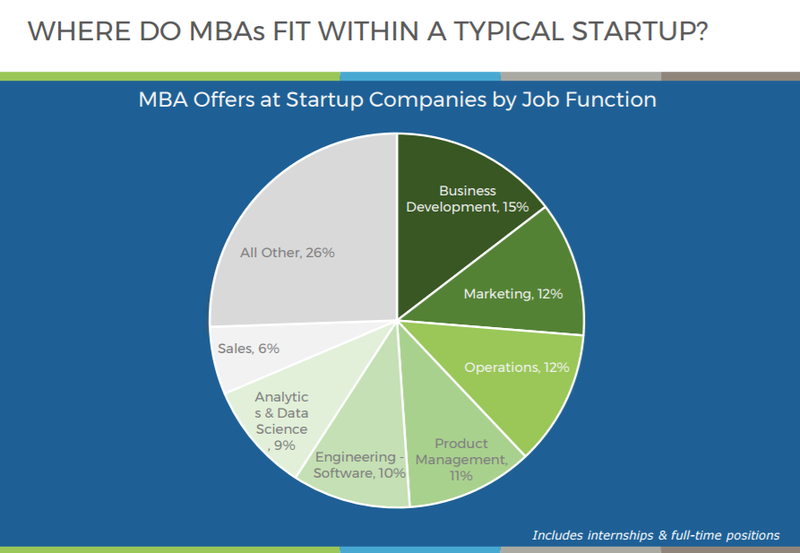 What Kind of Startups Hire MBAs? Okay, duh – it’s mostly in tech. Maybe a graph wasn’t necessary. But the point is, tech seems to have wised up to the fact that MBAs can – and do – help drive growth and (dare we say the p word?) profitability in the technology sector. Makes sense, right? Late-stage (Series C and beyond) firms have the greatest need for business talent, since they’re focused on growth, profitability, and (if you’re not Uber) a path to IPO. For the earlier-stage companies, graduating MBAs take director-level titles or above 80% of the time. 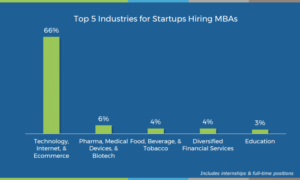 Business Development – that pesky catch-all category often filled with not-quite-sales, not-quite-strategy roles with maybe some M&A thrown in – takes the top spot in a fragmented spread of post-MBA roles. Some job titles include Director of Partnerships and Business Development Associate. Marketing (PMMs, Digital Marketing) and Ops (Logistics Manager, Business Operations Associate) closely follow. Product management has become the belle of the MBA ball in tech, especially for those with technical backgrounds who want to attain more strategic roles post-graduation. Still on the fence on working at a startup? Take a look at our posts on https://blog.transparentcareer.com/college-application-essay-example/ and article critique essay sample. Ready to start looking for a job? Sign up for a free account with TransparentCareer. Our site offers data on compensation packages, salary negotiation, and more. We also have an exciting, new job board we’re working on. Get paid what you’re worth. Sign up here.